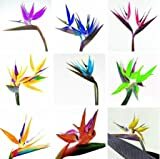 Bird of paradise flower growing herbaceous of the genus Strelitzia also known as Strelitzia reginae or Bird of paradise plant, Bird of paradise flower perennial evergreen used as ornamental plant, can grow in tropics, subtropics or mediterranean climate and growing in hardiness zone 10+. 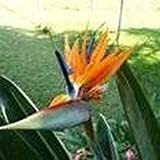 Flower color orange with blue and the base green, petals looks like feather of birds of paradise and the green it’s like body of the bird. 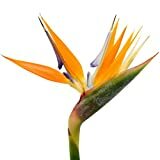 New Bird Of Paradise , TROPICAL / House Plant , Orange Flower , Strelitzia Reginae 8 Seeds ! 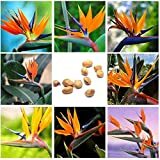 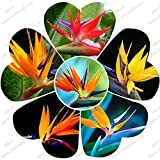 HOO PRODUCTS - Houseplants Strelitzia reginae seed long flowering bird of paradise seeds 100 particles / bag Brand New !